You’ll find loads of inspiration in the Spring 2019 issue from The Flow. The innovative entries of 21 glass flameworking artists featured in the Nature Gallery include landscapes, jewelry, animals, sea life, and florals. Artist profiles of Joe Peters and Italian-born Igor Balbi share the stories of how these two exceptional artists have developed their techniques throughout their careers. 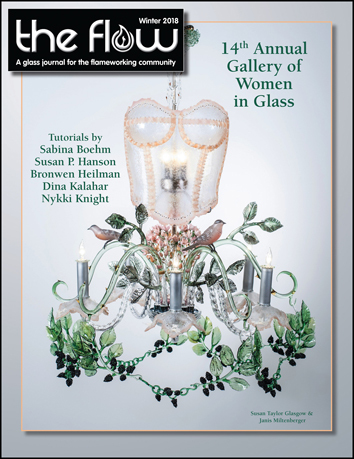 There’s also a look at the extensive collection of marine species captured in glass by Leopold and Rudolph Blaschka curated by Ireland’s Natural History Museum and tips for becoming a successful artistic entrepreneur. 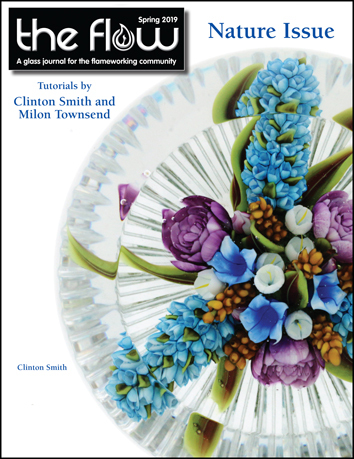 Tutorials from Milon Townsend and Clinton Smith round out this exciting issue. Be sure to subscribe today at www.theflowmagazine.com so you won’t miss a single issue. Subscribers to the magazine can also now look forward to receiving Subscriber Only bonus material for each issue via e-mail. For more information or to become a subscriber, call 1‑502‑222‑5631 or visit www.theflowmagazine.com. You’ll find loads of inspiration in the 2018 Winter issue from The Flow. The innovative entries of over 170 glass flameworking artists are featured in the annual Women in Glass Gallery along with a gallery of work created during the latest Michigan Glass Project that were sold at the annual auction to benefit Art Road educational opportunities in Detroit, Michigan. 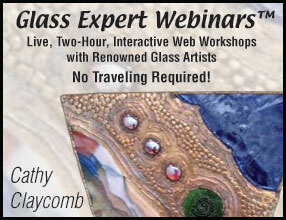 Five comprehensive tutorials for creating production pipes, decorated borosilicate drinking straws, a Husky Dog Face pendant, beads swirled with Clio glass, and an encased opal ring plus tips for becoming a successful artistic entrepreneur and the latest in new products to help with your flameworking tasks round out this fabulous issue. Be sure to subscribe today at www.theflowmagazine.com so you won’t miss a single issue.